What does it cost to prepare my tax return? There are many factors involved in determining the exact cost of preparing a tax return. Generally, an Individual Tax Return costs between $75 and $200 and a Business Tax Return runs from $250 to $500. 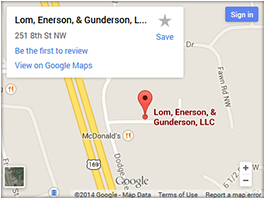 At Lom, Enerson, & Gunderson Tax Services we always quote you a cost before we begin. What do you recommend as the proper steps to starting my own business? First of all, it is important to truly enjoy and be committed to the industry, product(s) or service(s) you will be working in or providing. Second, find an accounting firm you can trust. They will help you establish the financial structure of your new business, and assist you in selecting the appropriate tools and technology to efficiently track your finances. We encourage business owners to use QuickBooks as their accounting software. In our experience we have found it to be the most user friendly and complete accounting software available. We will also setup your QuickBooks software for the type of business you are starting, and then train you in how to use it properly and efficiently. What records do I need to keep for my small business? Keep both receipts and cancelled checks. Under the law a cancelled check is not a substitute for a receipt. Create and keep a daily automobile mileage log. In most cases, this automobile mileage is best kept in an appointment calendar. If you have questions about specific records please give us a call – we will be glad to help. What should I bring for a tax appointment with my accountant? This varies from client to client and is clearly answered by specifically asking your accountant about your situation. However, the one thing every new client should bring with them is a copy of their previous year’s tax return. How long will it take to complete my tax return? At Lom, Enerson, & Gunderson Tax Services we strive to complete your individual tax return before you leave our office, and we achieve this goal 90% of the time. However, all business returns and more intricate and complex individual returns will be complete within one week. What do I do if I owe tax and cannot pay it? At Lom, Enerson, & Gunderson Tax Services, it is our policy to stand by our clients and assist them in every way possible. In the case of owing taxes and being unable to pay, we will work with you in requesting an agreeable payment plan with the IRS or State of Minnesota. What if I have not filed taxes in several years? This is far more common than you might think, and Lom, Enerson, & Gunderson Tax Services is highly experienced in this particular area! Your first step is to come in and meet with us to get the process started. We can access the tax forms for the missing year(s), and all the information the IRS has on your income for that period. 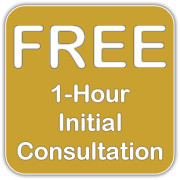 We will then complete the return(s) and file them with the IRS to help you become current. We do all of this at a very reasonable rate because we believe it will help us in gaining a client for life. How can you help me with my business payroll? Lom, Enerson, & Gunderson Tax Services does not offer payroll processing services, but we can assist you in choosing the best and most cost effective payroll option for your business. Whether it would QuickBooks software or a payroll service, such as PayChex or ADP, we would be more than happy to advise you in selecting the best option for your particular business. If you have questions, call to set up your appointment today at (763) 712-0300! © Copyright 2019 Lom & Enerson, Inc.